I had another opportunity for a lunch break at work. I ate in the car. Here is my lunchtime sketch. 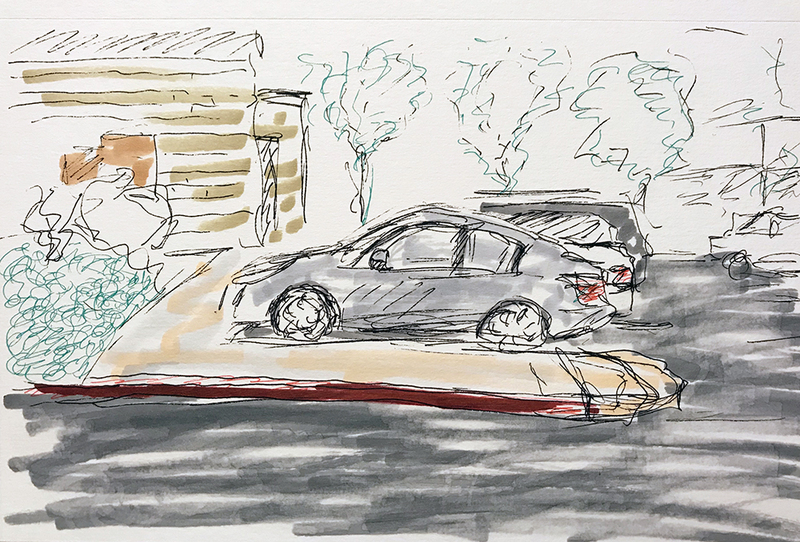 This entry was posted in Personal Stories and tagged artistic process, creativity, drawing, lunch in the car, lunch time, parking lot, sketch, sketching, visual arts. Bookmark the permalink. I love this. Delicate lines really give a calm atmosphere here. Thanks, Claudia. I used an ordinary pen at first. I forgot to bring the pencils in the car with me. I finished up the job at home with markers and other pens.